Member of Society of Authors and Children's Writers & Illustrators Group (CWIG). I'm an enthusiastic speaker available for assembly talks and classroom workshops aimed primarily at KS2 pupils (mainly Years 5 and 6), but adaptable for KS3 pupils. My interactive workshops fit in well with the KS2 English curriculum: including listening to a short extract from one of my books, responding imaginatively to develop the theme, and the role of descriptive language in helping to bring ideas alive. I also talk about the importance of planning and drafting, revising and editing to get the best out of a story. Teachers, in particular, enjoy seeing a proof of my last complete manuscript covered in pencil marks (and the pupils' reactions to all those edits!). I've just finished my 4th book, The Orb and The Architect, about Christopher Wren's response to the threat of an alien invasion, and hope to find an agent and publisher for it soon! So I'm well placed to talk children through the joy and frustrations of completing a project - and the next steps involved in getting a book published. I live in South West London, but I am willing to travel. "Your manner with the children is perfect and you certainly got the children feeling very creative and confident enough to ask lots of questions, which will help with their own writing of stories." 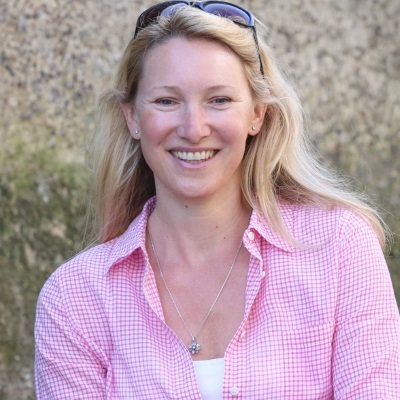 "Kirsty's visit really inspired our boys: she captured their imagination with her reading from her debut novel and through her subsequent discussions and activities, she opened their minds to the wonders of writing and the joy of expressing their own creative ideas. A huge success." Matthew Thompson, Head of English (Aldro School, Surrey) following a visit to the Year 5, 6 and 7 pupils. The 'Prophecies of Ballitor' trilogy is a fantasy adventure aimed at 8-13 year olds (and older!). Book 1. Ben must find the mythical Book of Prophecies in order to save the kingdom. Book 2: the heir to the throne has been spirited away to the dark side of the kingdom. Can Ben get to him before his nemesis, the pale man? Book 3: Ben must defeat his nemesis once and for all, if he is to reunite his family..